One day, some time ago, I spotted a tiny envelope in a secondhand bookstore (regular visitors to Timespanner will know that secondhand bookstores are my drug, and every so often I weaken ... quite badly ...). 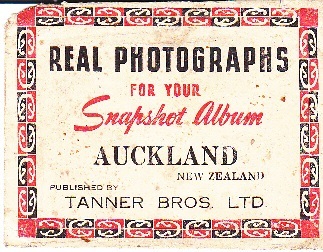 Anyway, the envelope was a wee collection of "Real Photographs for your Snapshot Album" from Auckland, New Zealand, by Tanner Bros Ltd. The best I can find about Tanner Bros is from here. 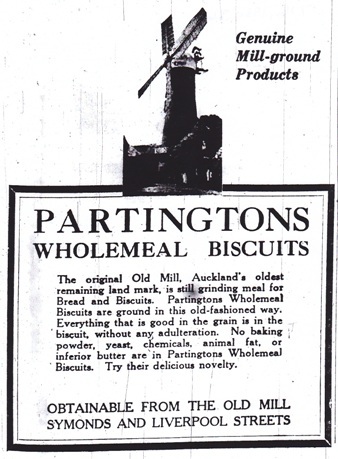 Apparently, they were a Wellington firm, established around 1904, with branches in Auckland and London. The Maori motif border reminds me a lot of cheap and obiquitous souvenir shops in Rotorua from the late 1970s -- but these images, I'd say, date from the 1930-1950 period. 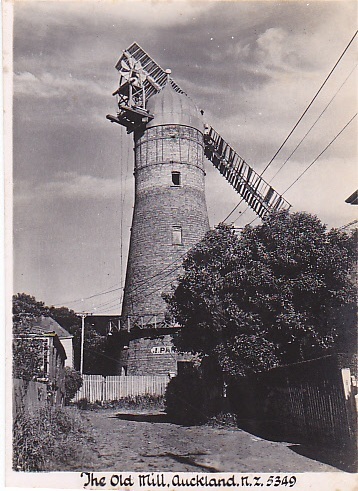 Ah, Partington's Mill. 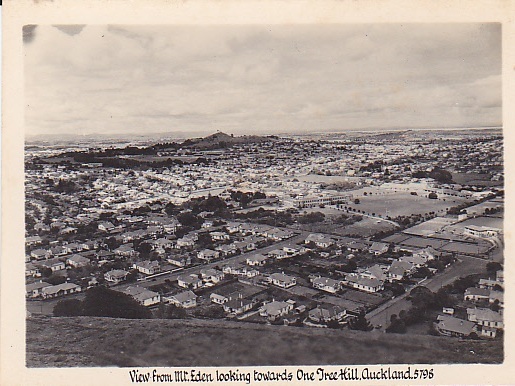 Over 60 years since it was removed from Auckland City's skyline, just the mere mention of it is enough to make local historians grind teeth and mutter, "They never should have removed the mill!" All we have is art, images of its destruction ... and advertisements. This one (below) from the Auckland Star, 7 May 1930. Back to the Tanner photos. 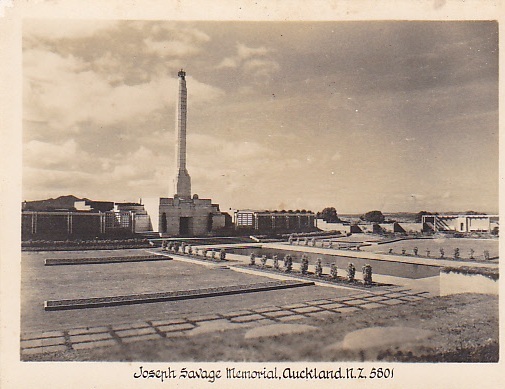 Savage Memorial, Bastion Point. 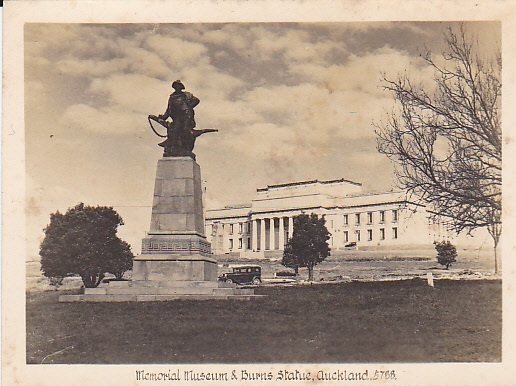 Auckland War Memorial Museum, and Robbie Burns Statue, in the Domain. 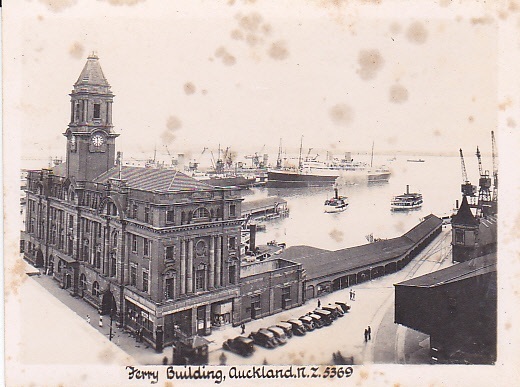 Auckland's Ferry Building. One of my favourites in the city. 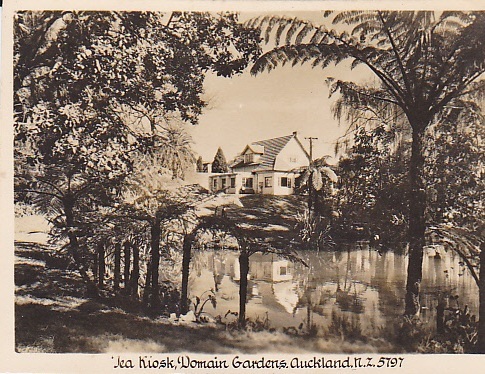 The Tea Kiosk in the Domain is a remnant of the 1913-1914 Auckland Exhibition. Oh, what a bonus find, Lisa! Cheers, Jayne. I love finding stuff like this. My image of the statue from 2009 and the 250th anniversary shindig. You're right, it looks way different. Bigger trees, for one thing! Agree, they should never have removed the mill. I recognised the ferry building from when I was looking at the waterfront with google. So the tea kiosk is still in the Domain Gardens? Re the Tea Kios: it sure is, Andrew. Here’s an up to date photo of it. 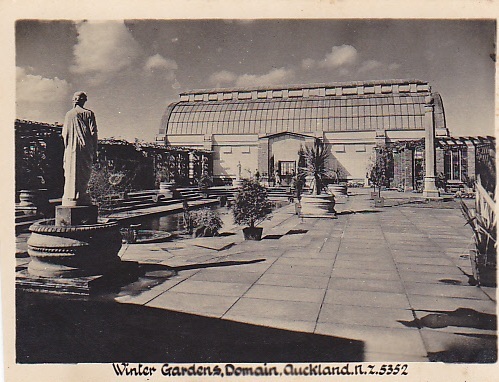 I have seen a similar collection, maybe by the same company, featuring images of the Buried Village in Rotorua. How the heck did I miss these? Wow they are great Lisa.